As entrepreneurs, Real Estate agents must be committed to never ending improvement and adaptability. A career in real estate means a lifetime of learning. However, it can be difficult to stay up to date with technological changes. More and more, leads are using the internet to not only search for homes, but also search for and research an agent. 90% of all home buyers search online at some point during their home search (source). 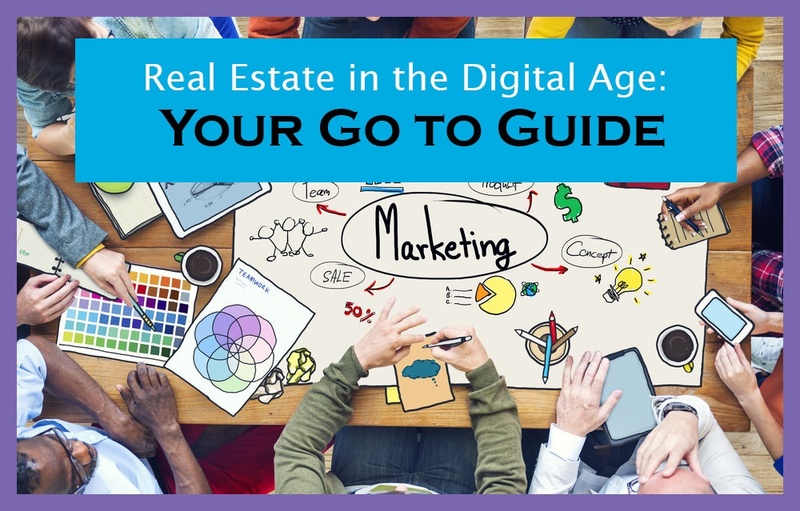 Reference our guide below to see how to optimize your Real Estate business for a digital real estate market. In 2016, over 90% of real estate firms had websites. The most common feature of these websites were property listings (source). Industry standards are now that all brokerages have a website with each member’s profile and listings. Why do leads come to your website? For listings! Many agents have an IDX home search site for one or all of their target markets in addition to their brokerage’s website. Having an IDX site specific to your lead’s desired target market will show you know their neighborhood. Plus, the site will be easier to navigate making the buyer’s journey easier. Leads want to have a virtual tour of the home they’ve been thinking about, not learn about your broker’s personal background in your firm’s About Me section. IDX search sites also provide some of your top listings an extra SEO boost. Leads searching on Google for properties in a specific neighborhood will easily find your site from the search results. You may ask, how can I get free traffic to my website? Inbound marketing is the practice of making leads want to come to your website. Any marketing tactic that relies on earning leads’ attention, rather than purchasing it is considered “inbound marketing.” Inbound marketing also costs less. An inbound leads costs 62% less than the traditional paid for lead (source). Content Creation is an easy way to gain free traffic. The content real estate agents often create include blogs, CMA analysis, and reports on local happenings. Always share any content you created to all of your social media platforms. Your Facebook, Twitter, Pinterest, and Instagram accounts should act as your website/blog’s soap box. For inspiration from other real estate agents that are also great digital marketers, check out this list of agents: List? Agents seeking paid traffic to their website or paid for leads have two options: run paid advertising on their own or hire a lead generation service to do it for them. Agents that are successful managing their own PPC ads on search engines have some experience. Review site ads such as Yelp, MyAgentFinder, Homelight, and UpNest also provide great advertising opportunities.